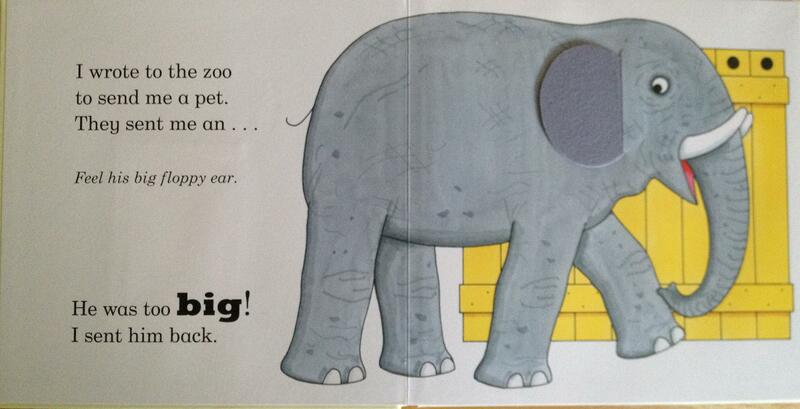 Glorious full colour illustrations, the joy of this large format picture book is in the rhythm. 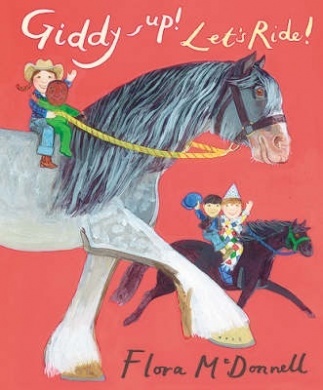 Sit your small person astride a knee and take them riding with Flora. Vivid colour, simple rhythm and brilliantly silly. 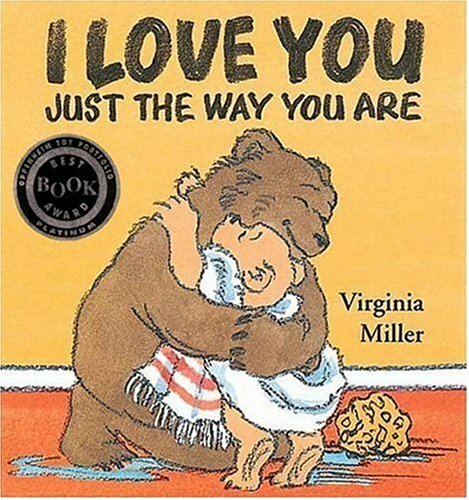 I fell in love with this book when I heard it performed by the famous Stu & his ukulele at the Wellington Library to a raucous group of delighted toddlers. 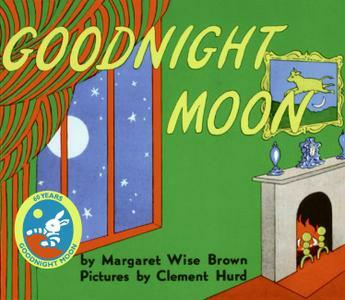 This gentle homage to bedtime ritual is definitely conducive to sleep with its simple rhyme and soothing rhythm. Wise Brown’s little bunny bids goodnight to the real and imagined inhabitants of her world – a ‘comb and brush’ and a ‘bowl of mush’, to the ‘stars’ and ‘air’ and ‘noises everywhere’ – before settling down under the watchful eye of a knitting nanny. This bunny’s world is slightly surreal with its eclectic array of objects (and creatures), wild shifts in scale and old-school nursery vibe – you can almost smell the formaldehyde. Clement Hurd’s illustrations reflect this perfectly by pitching monochrome against acid-bright, gradually darkening page-by-page, as inevitably sleep comes down. 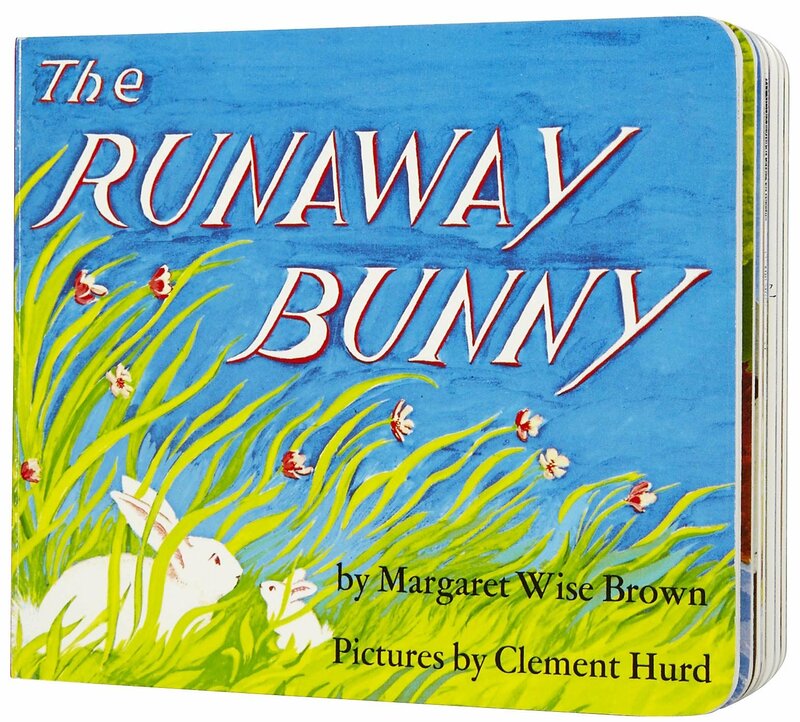 Also by Margaret Wise Brown and Clement Hurd – THE RUNAWAY BUNNY. This is a rhythmic and gentle mother-baby story. Essentially a game of verbal hide and seek, a steadfast Mother bunny assures her baby that wherever he goes; she will find a way to be with him. Again, Hurd’s illustrations are a perfect confluence of detail and simplicity. 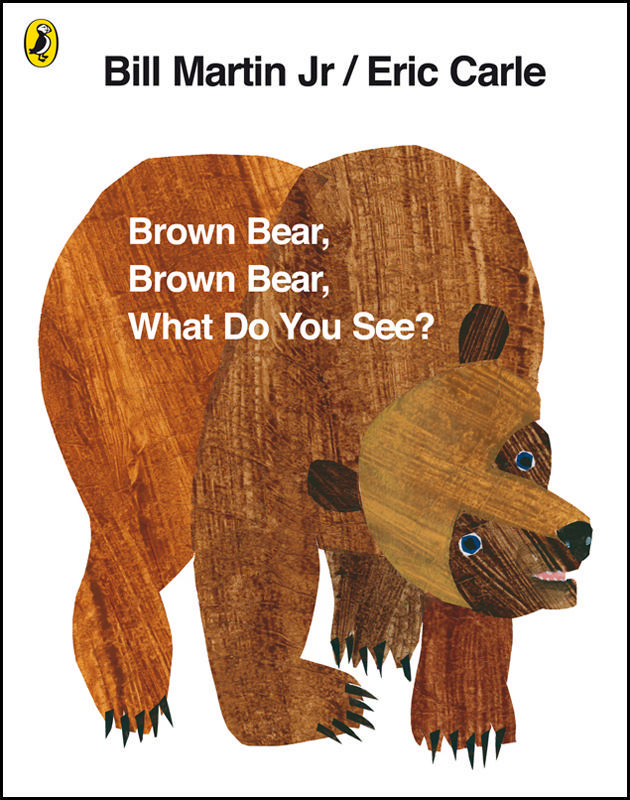 A perennial favourite, Dear Zoo builds anticipation and then satisfies absolutely just as it invites the reader to triumphantly recognise and name the hidden animal and fulfil the rhyming text. A triumph. Even as I think about this book my toe starts tapping. All the Rs – rhythm, rhyme and repetition. And the perfect denouement in a double page spread of cavorting, colourful, creature-children. Marvellous. This bright and appealing rhyming story is about the toys in a child’s life and the special roles they play. She takes tea with rhino, mud-fights with pig, tends to a sick dragon and indulges leopard in his penchant for fancy dress. 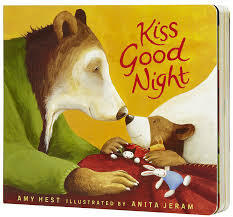 This story is imbued with imagination and humour, brought to life with luminous and theatrical illustrations. 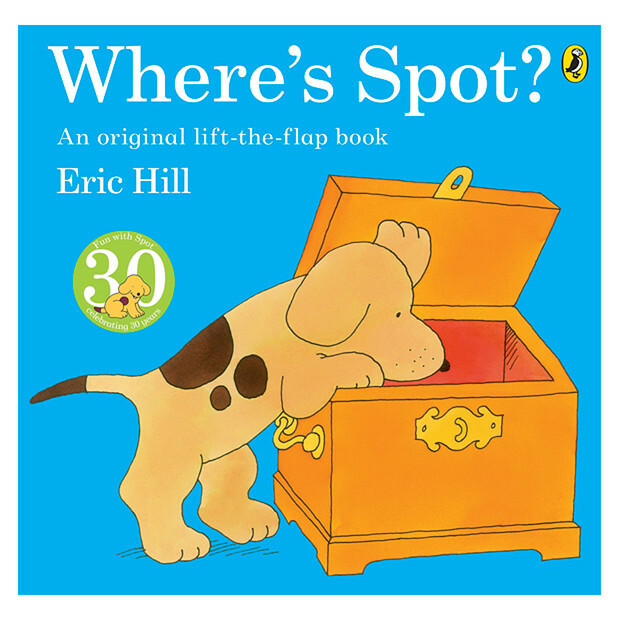 The delights of a simple game of hide-and-seek are explored in this bright and sturdy flap book. 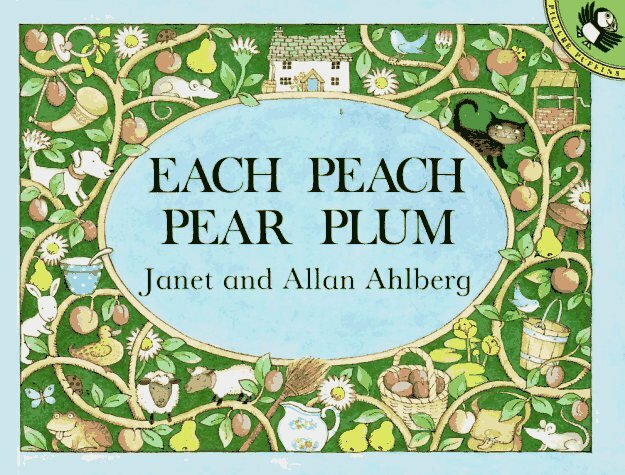 PEEPO and EACH PEACH PEAR PLUM by Janet and Allen Ahlberg. These are classics. In EACH PEACH PEAR PLUM, rhymed text and illustrations invite the reader to play ‘I spy’ with a cast of Mother Goose and other folklore characters. Set in the 1940’s, PEEPO follows a baby through the day as he observes domestic life. 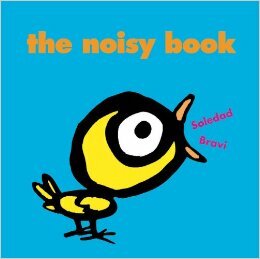 With simple, rhythmic text and richly detailed illustrations – the real delight of this book is the series of holes peeping through to the next page. These lead the reader on to the next stage in the day, giving a hint of what is to come. 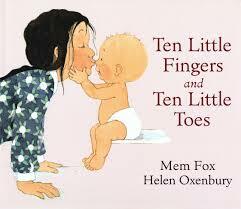 Witty and charming – this is a perfect book for sharing. Who can resist MOG the flawed feline? 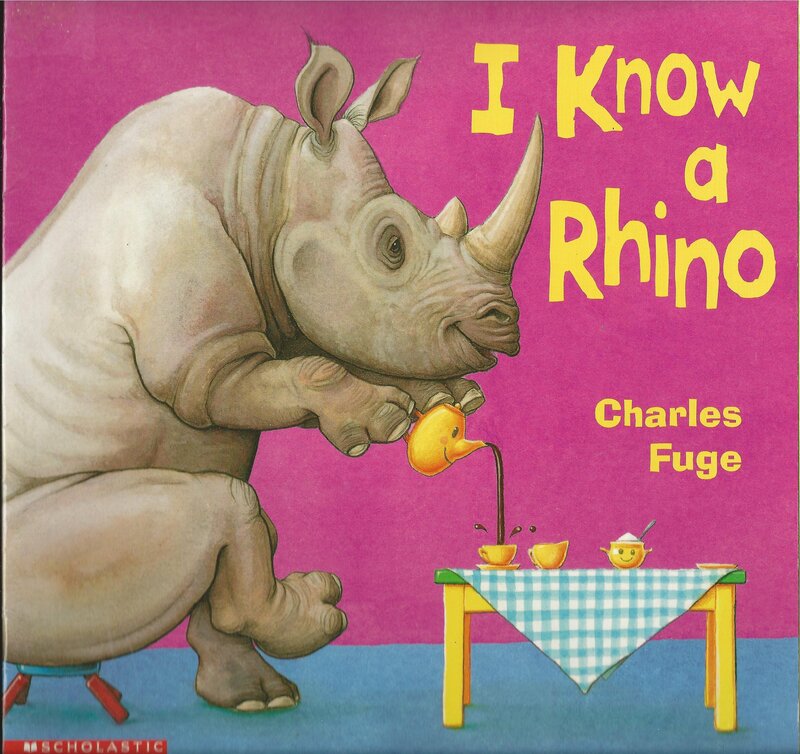 This is the first in a series of first Mog books for toddlers. This story captures the simple rhythms of a child’s day. Mog and her toddler begin their day together with a stretch and a wash. 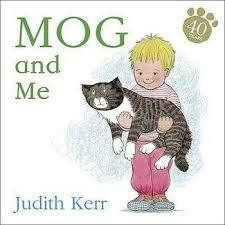 The child has to get dressed, “but Mog wears her fur all the time”. Scenes of play follow with catnip, stacker blocks, a train and a trolley (with an alarmed looking Mog aboard). They eat, and then sleep. Together. Aw. Is it the warm autumnal palette used to create this cosy little home that defies the “dark and stormy night on Plum Street”? Is it the patient attention to bedtime ritual from a loving momma bear? Is it the way Jeram has so perfectly captured movement and expression in this intimate exchange? Whatever it is, there’s no denying the delicious sense of comfort and security this story engenders. 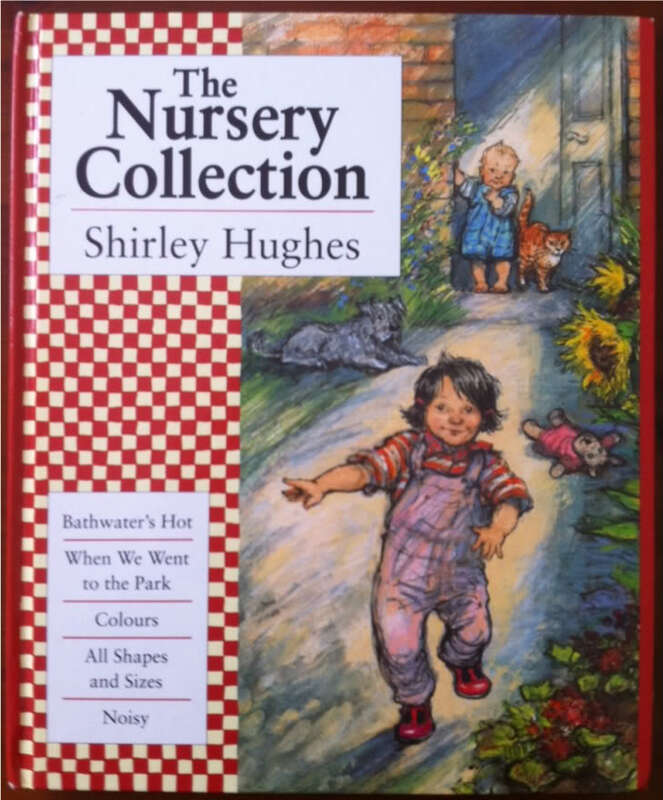 I’ll be writing more about Shirley Hughes who has been such a part of our early reading adventures. The Nursery Collection is a simple collection of stories that perfectly capture a child’s world. In these perfect picture books, a lively toddler and her baby brother discover and explore colour, shape & size, sound and opposites. 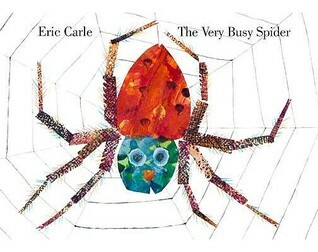 Yes, yes I know – another best kid’s books list with Eric Carle. But these stories never lose appeal even after countless reads. They celebrate the natural world with a delightfully spare narrative that is both wondrous and wry. The Very Busy Spider has some clever texture to run little fingers and toes over and of course, the best thing about The Very Hungry Caterpillar is poking fingers in the ‘holes’ eaten by the insatiable insect. A simple poem celebrating the universal appeal of babies everywhere. Oxenbury’s soft and luscious watercolours capture their plump innocence perfectly. 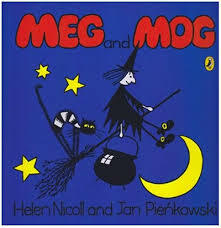 My seven-year-old still delights in Meg and Mog – only these days she reads (recites!) them to me. First published in the 1970’s these stories are about Meg, a rather inept witch, her long-suffering Mog and friend Owl. 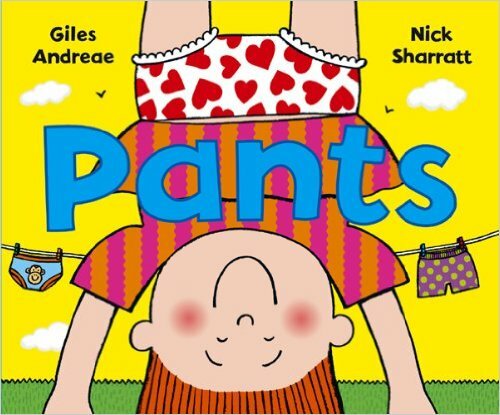 Simple and colourful with touches of comic art form – they will make little readers laugh out loud. This book still thrills my 7-year-old. 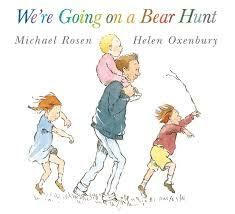 A big bold story perfectly caught by Oxenbury’s brilliant illustrations, this book captures the anticipation and excitement of a family adventure. Indomitable, they squelch through mud, swish through grass, splash through water. They’re not scared. Until… Uh-uh! A narrow gloomy cave and… a bear! The clever double quick pacing that chases the family home is brilliant. And so is the snuggly ending. Check out the beautiful pop-up edition. 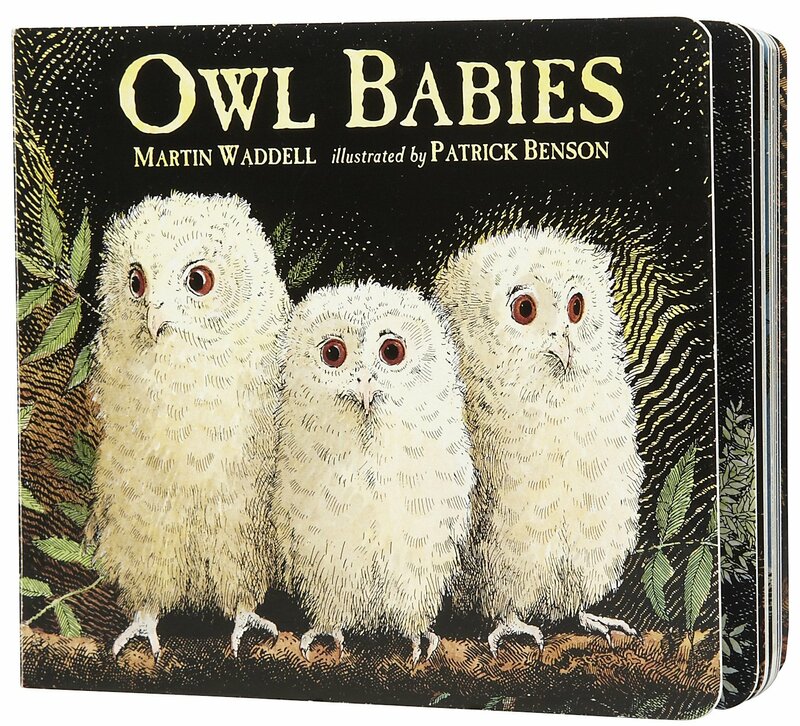 Three baby owls left alone while their mother is away hunting is the perfect setting for an exploration of anxiety and reassurance. Benson’s simple but richly textured illustrations perfectly juxtapose the three fluffy innocents against the depths of night forest. While Sophie and her mother are sitting down to tea one afternoon, the doorbell rings. 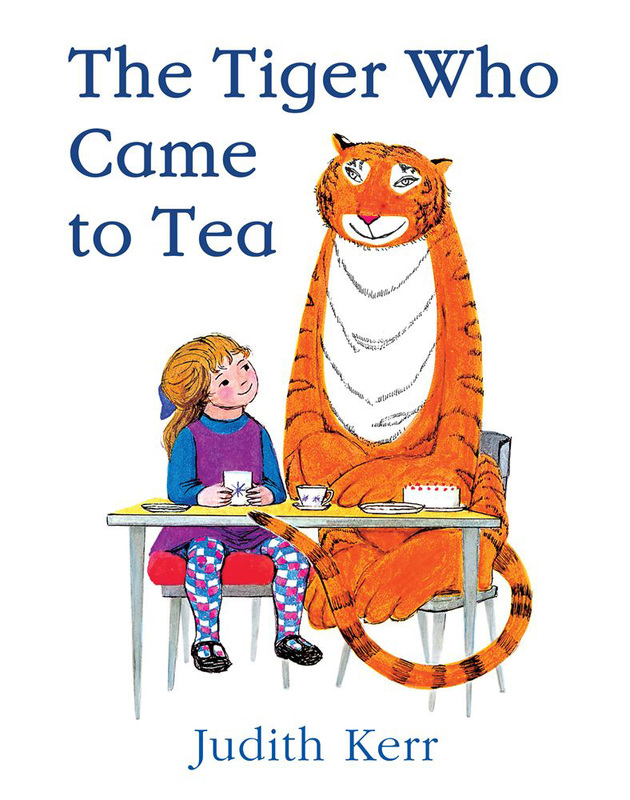 A big, furry, stripy tiger has come for tea…and sandwiches, and buns, and biscuits…and eats all the food in the house until there’s nothing left to cook for Daddy’s supper. Conventional and at the same time anarchic, this is fabulous. 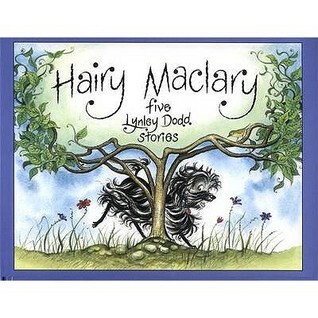 Legendary in New Zealand, Dodd’s marvellous illustrations and mastery of complex rhyme make this (and other stories in this collection) unmissable fare. Bold, colourful and, well, noisy. 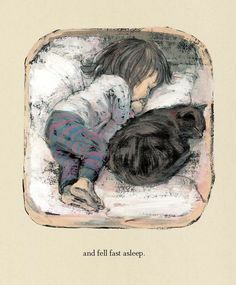 HANNAH’S NIGHT Written and illustrated by Komako Sakai. 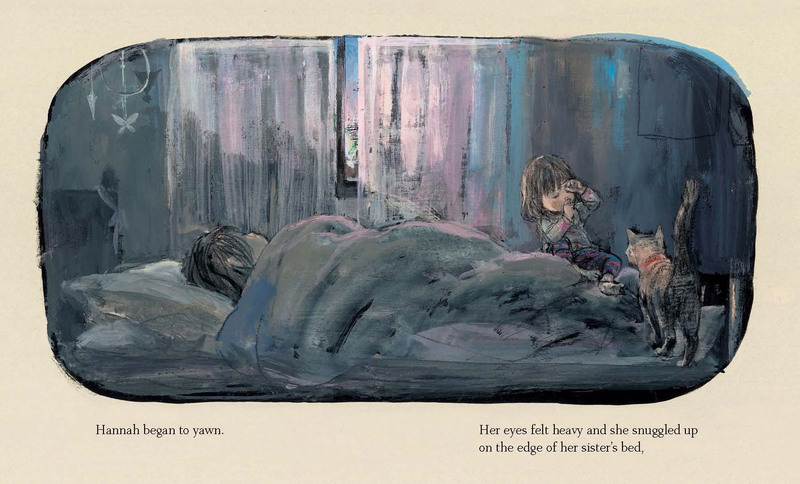 This gentle story is about a little girl who wakes in the night and enjoys the quiet of her home, using her own resourcefulness to pass the time. Beautiful.